Adam Doyle has done the cover to my latest novel, The Guns of Ivrea, and is now working on a cover for the sequel which is going to be equally breathtaking. He’s interviewed here about his work as an artist and illustrator and it’s well worth a read. CM: What is your background/education in art? AD: I went to art school. I went to the Rhode Island School of Design in the mid to late 90s, then went out in the world and worked in L.A. for a while. Eventually I felt like I was getting distant from illustration, which is what I went to school for and what I love doing the most. So I went to grad school and went to New York and the School of Visual of Arts and got my master’s there. At both schools I had a really good time and learned a lot. So that was my formal education. Wrote a retro review for the July issue of SFX Magazine which the editors have graciously allowed me to reproduce here. It was a very different experience reading R.E. Howard again after so many years–and not an altogether pleasant one. Have a read and let me know what you think. Robert E Howard, who took his own life at the age of 30, was the father of that subgenre of fantasy that would become known as “sword and sorcery”. Best known as the creator of Conan the Barbarian, Howard’s writings influenced a generation of fantasy authors, including Fritz Leiber and David Gemmell. But before Conan, Howard had created a very different character in Solomon Kane, a mysterious Puritan loner who roams the darker corners of the world, fighting ancient and nameless evil in the early 17th century. Bursting from the pages of Weird Tales in 1928, Solomon Kane fought Lovecraft-inspired deities, demons, pirates and scores of hostile natives to rescue the helpless and right wrong wherever he saw it. Kane is far more conflicted and layered a character than Conan, and Howard portrays him as driven, if not downright psychopathic. In “The Blue Flame Of Vengeance” Kane remarks to a man he is helping: “It hath been my duty in times past to ease various evil men of their lives…” Which is an understatement. To be sure, this is pulp fiction. You won’t find subplots or shades of grey here, and since these are largely short stories there is a definite headlong rush to get down to the business at hand, usually involving a good amount of swordplay and spilt blood. Anachronisms and cod “olde world” dialogue sometimes sound a sour note, but at its best, Howard’s writing is dazzlingly energetic, vivid and not without poetry. His descriptions of hand-to-hand fighting are compelling as they are brutal but even here there is a mastery of mood and intensity. In one scene, Howard’s imagery is chilling: an avenging Kane overpowers a murderous pirate in a knife fight and intentionally kills him by degrees, plunging in the tip of his dagger, one inch at a time. But Howard and his characters are full of contradictions. Solomon Kane’s self-professed “blood brother” is a black African wizard and the only real friend that Kane has in any of the stories. And in “The Footfalls Within” Kane risks his life to free African villagers from Arab slavers and then guides them to safety. Solomon Kane’s tales are, like those of Conan, rousing epics, and as part of our pulp-era inheritance they deserve to be read. But like much of our past, it’s not all good. Today Howard’s writing, imaginative as it is, leaves a slightly bitter aftertaste. My mother Face-Timed me yesterday, rather upset, to say she had received a “very disturbing” Christmas card from my sister. It showed a sleigh and children but instead of Santa there was a jet-black, horned and cloven-hoofed demon driving. Pictured with a red tongue that would put Gene Simmons of KISS to shame, the creature was stuffing a frightened boy into a wicker basket. Turns out this was a Wilhelmine-era German Christmas card showing Saint Nicholas’s seldom-seen other half, Krampus. In Central European Christmas mythology, old Saint Nick was always a double act: he would reward good children with sweets and toys while the bad kids got a visit from Krampus instead and a lump of coal. If you were really bad, Krampus would take you on a one-way trip to Krampusland. Great parental leveraging tool. I should have known this tradition having been married to a German woman for many years but strangely didn’t. However, Krampus celebrations are not universal in Germany, having started in the Alpine regions and then spreading into Austria, the Czech Republic and Slovakia. In the Netherlands and northern Germany, St. Nicholas’s “helper” is “Black Peter”, usually portrayed as a man in blackface makeup. In recent years, some have called for Black Peter to be cut from parades because of perceived racist overtones. But the southern tradition of the hairy, horned demonic creature who accompanies St. Nick on his travels actually predates Christianity as he was once part of pagan winter rituals. It was most probably grafted onto Christmas when that festival displaced Yule in early medieval times. For most of the 20th century, civic and church authorities had repressed this ancient tradition, and in many places, St. Nick lost the flip side of his coin. But that is beginning to change and Krampus celebrations are having a bit of a comeback in southern Germany. After I decided to blog about this, I saw that the Guardian ran a short piece on the same subject yesterday. They put the resurgence of Krampus down to a societal reflex against the commercialization of Christmas and all the saccharine trimmings that accompany it. Sort of getting back to one’s roots really. Costumed performers are now popping up everywhere (including some big US cities) during the Feast of St. Nicholas on 6 December, prancing through the streets and frightening the bejeezus out of little kids. Sweet. I think I’m a bit envious the tradition wasn’t around for me when I was a kid. Beats the hell out of Rudolph and his red nose. Is it an “ethics alert” or “just business”? I was never really a committed book reviewer. Sure, I’ve got a shelf on Goodreads, albeit rather sparse compared to some folks on that site (just keep forgetting to add all of my books), and I have in the past given out stars and comments on some of the books there. Just had too much fun reading books, lots of them, and not writing about them after I’d done so. But since joining the ranks of published novelists, I’ve begun feeling somewhat queasy about the idea of authors reviewing authors. And I’m not sure why. All authors started out as readers you might say, so why can’t they continue to write as readers and review the works of others? Well, they can and do. Some rather well. But with the rise of the internet, there are now channels other than the Sunday papers and book sections with which to post book reviews from both professional literary critics and the proverbial man-in-the-street. Reviews are an important fact of publishing life now that Amazon rules the roost. Some authors are even developing a whole new form of OCD in which they incessantly Google their work daily to check their reviews (what! moi?). This leads to “coping behaviours” in psych parlance—like writing your own reviews of your novel under clever pseudonyms. Or how about “reviewing circles” where author A promises to review author B’s book in return for similar treatment? I think part of the reason I’m uneasy about this is because for people reading my reviews, it might call into question my motives for writing them. If I pen a good one, some might say I was looking to curry favour, like fishing for that next cover blurb from Stephen King. Slam a fellow scribe’s lifework and I’m just a jealous hack settling scores. Scratch my back I’ll scratch yours is a powerful driver, especially for authors who are insecure and fretting at the best of times. Wanting to be liked and having one’s work liked is also a basic emotion. Would writing a review—good or bad—affect how my novel is reviewed in future? I don’t have a definitive view on this, rather a vague sense of disquiet. Like that unidentified noise in the cellar. At night. When you’re all alone. I suppose there are exceptions to everything but how often do you see artists writing as art critics? Or chefs blogging as restaurant reviewers? Perhaps something to be considered (and I might try it if I can get motivated enough to start writing reviews again) is for authors not to review in their own genres. That would at least remove most of the suspicion from readers’ minds. I first published non-fiction history before moving over to historical fiction and fantasy. I’d feel more confident reviewing non-fiction if I was no longer writing it for publication myself. Just a thought. What are your views on authors reviewing authors? I’d be happy to post some responses to this blog once I get a chance after checking my Amazon rankings. Again. Very nice review for the novel by the British Fantasy Society this week. 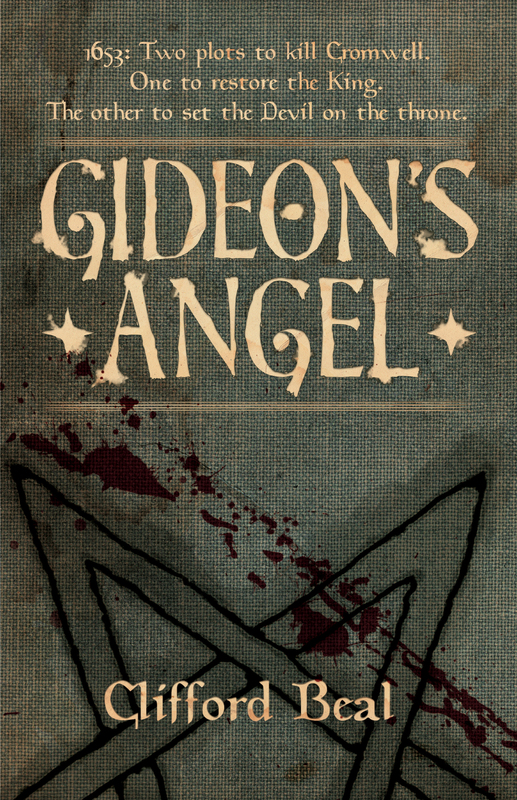 “Gideon’s Angel is historical fantasy that smoothly combines real characters with fictional ones to create a gripping and entertaining story.” Check it out here: http://www.britishfantasysociety.co.uk/reviews/gideons-angel-book-review/ and for goodness sake get a copy before Andras, grand marquis of Hell, pays you a nocturnal visit!